Fabulous bag – and great memories provoked by your post, too! We got a whole set of Topsy & Tim books from The Book People and my son loves them. I love the bag! That was a great find. This post made me smile 🙂 I remember those stamps that didn’t come off! 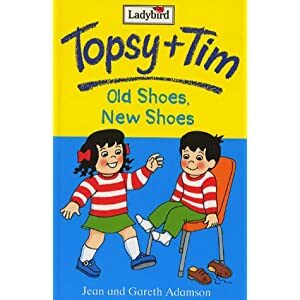 Tospy and Tim makes me go ahh for my childhood, the stamp nostalgia for teenage student years and at least you got a bag out of the trip. Haha SUCH a funny post – I know exactly what you mean! Soft-play areas are the only such places I get hand stamped nowadays.